I thought this was an interesting question from my boys the other day. It got me thinking, because they say you shouldn't, but then they put the covers on there for a reason. I mean, I am married to an artist that does covers and yeah, he wants to grab that book because you love the cover. So the experimenting began with an innocent chocolate chip muffin. I am not quite there with it, but here is where the never judge a book by its cover comes in...they are UGLY, but so good! Also, the illustrator has named them segregation muffins since the chocolate chips all went to the bottom. He's a clever one...back off ladies, he is all mine! Here's the problem...they are are great texture on the inside with a great crust on the outside. They clearly have too much of a certain moisture content. I guess, for the sake of science, we will have to try again...for science. 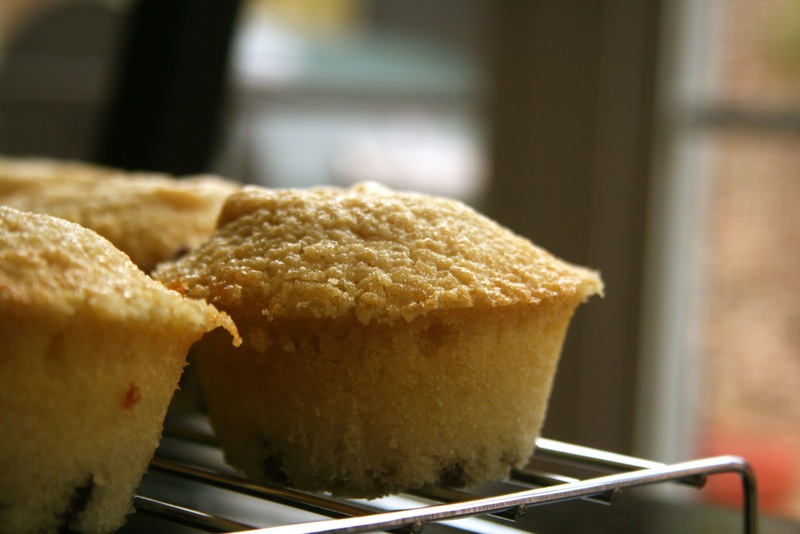 So, do you change the recipe for an ugly muffin even if it tastes good? I ALWAYS have a problem with the chocolate chips sinking in gluten-free baked goods. Not sure why :-( Good thing I don't mind. Did you try tossing the chocolate chips in some of the GF flour before adding them to the batter? 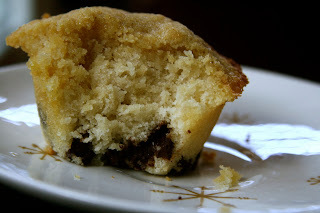 I've never baked GF muffins, but this is what I do for all fruit/chocoalte chips in standard muffins and it works. Oh man! I was about to offer my words of wisdom until I remembered you bake gluten free. Cause I was always taught to dust chocolate chips in flour and then they don't sink to the bottom. Anything similar to that you can do? I actually like them with the chips at the bottom! It's like a reward at the end. Throw some frosting on the top and oooh that'd be good! I wouldn't change a thing...the uglier the food the less likely others will be eat it and then there is more for you. Make them for your next outing...hahaha...how selfish am I? I am a full-hearted believer in "the uglier the better" when it comes to treats and the like! I think those muffins still look delicious. Anything with chocolate chips in it is always wonderful. I bet some PB smeared on top would be heavenly. Dont change the recipe. If it tastes good, why mess with it? :) plus anything with chocolate can't be that ugly! If they taste good-who cares what they look like!!!! I agree with Melissa, it's like having a reward at the end. Like how some ice cream cones have that little bit of chocolate at the bottom of the cone. hahaha you've got such a clever hubby! I think your muffins look good!! You should see the way mine turn out :) Also, I love the name of the muffins... that had me laughing! Is it strange that I honestly think these look magnificent? 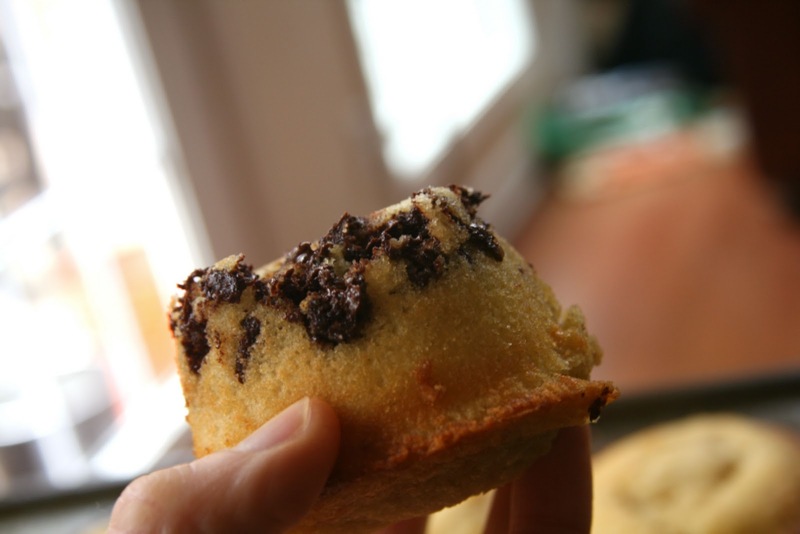 Also, I think you could argue that the sinking chocolate is a sneaky way to make sure people don't just eat the muffin tops, seeing as lots of us think the tops are the best part ;) This way, the bottom is even better! Interesting question. I really try not to judge a book and all that. I have definitely learned from trying to photograph delish dinners that sometimes the best things are the ugliest. 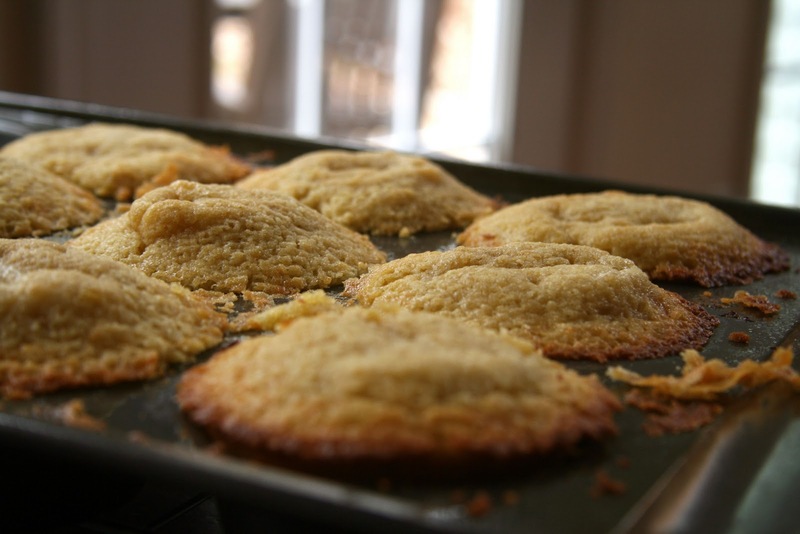 All of my muffin recipes are vegan + GF and so they arent pretty, puffy muffies. They arent ugly but you know...they are gluten-ous and puffy. And they still taste great. i love ugly food. i should make my blog more about ugly food! LOL @ your husband! I hate it when it's hard not to laugh, but you know you shouldn't encourage them?! I think you should just own the GF segregation if it tastes good! LOL...this was a great post! I have to admit, I totally judge a book by its cover. Those muffins to look pretty good - segregation aside :P I've had that happen... skining chips. I actually blogged today about how with overnight oats the uglier they are, the better they taste! As long as they taste delicious, they don't have to look delicious! Unless you are selling them in a bakery...then they must look perfect! Oh, man - the top of that muffin looks delightful!! I think if it tastes good, why change it? 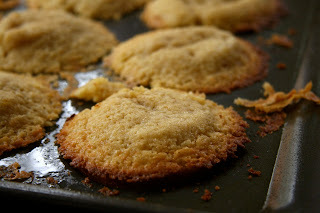 And those cookies look good too -- just a little crispy on the edges! I agree, we shouldn't judge a book by its cover, but we see things first, and you can't help but make a snap judgment -- good or bad. hmmmm, thats a toughy. I would try to create a topping or drizzle dark chocolate on top. Maybe?? Looks great! : ) I just love muffins! The first gluten free muffins I ever made had grated apple in them and they exploded all over the oven. But they were delicious. It's funny, I totally judge actual books by their covers! I will pick one up because I think the outside is pretty! When it comes to food, I know that sometimes the best creations just aren't pleasing to the eye so I will pretty much try anything! Salmon Patties or Salmon Croquettes?